Season just before serving with soy sauce and lemon juice, and add extra ghee, coconut oil, toasted sesame oil or olive oil if desired. 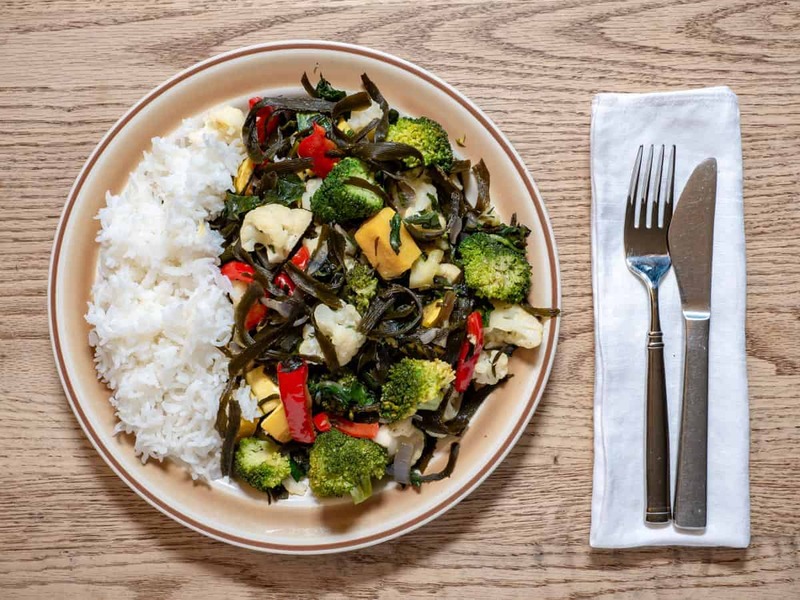 Kari Rein is the chief recipe tester in the Naturespirit Herb’s kitchen. She co-founded Naturespirit in 1990. 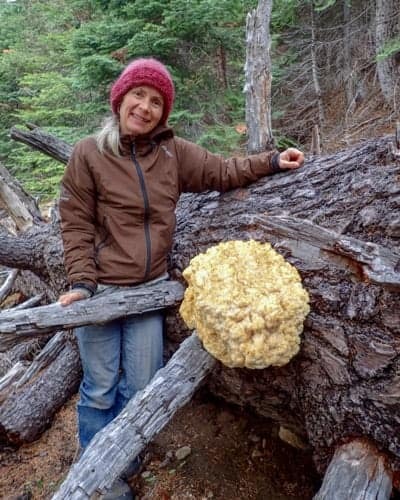 Here in high altitude old growth forest with a nice specimen of Bear’s Head Mushroom (Hericium americanum), a very tasty edible and medicinal mushroom. 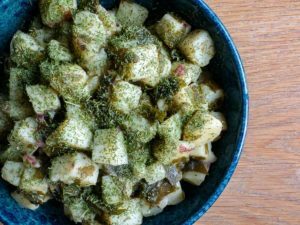 This simple and tasty dish is relatively quick to make and is a wonderful side dish to meat, fish or vegetable dishes. It is also great just with a salad. 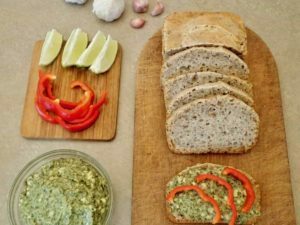 Use this delicious spread on bread or crackers or as a veggie dip. It can easily be made into a superb salad dressing by mixing in 1/2 -1 cup tomato sauce. 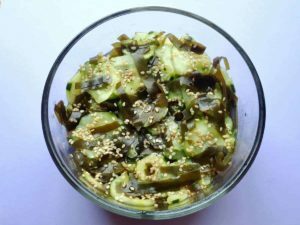 This seaweed salad is a cool and refreshing side dish or appetizer, especially in the summer. Easy to make, hard to stop eating!